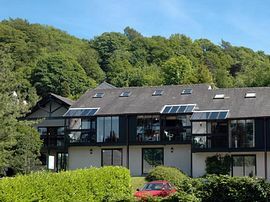 Set in the heart of the Lake District National Park in mature gardens only 300 meters from the Promenade of Lake Windermere, Steamer Piers and bustling village centre of Bowness-on-Windermere. Burnside Park offers one of the very finest locations for a luxury self-catering holiday including full use of Parklands Country Club with its range of all weather leisure activities. Our cottages are fully equipt to the highest standards with fine furniture, fabrics and all the modern amenities you are every likely to need. The Lake District, the largest national park in England, is a place of pristine beaches, crystal clear lakes and charming villages. The Lake District has recently been named a place of "heaven on earth" by Time Magazine and it definitely lives up to that claim. The Lake District is a place of pure tranquillity and beauty, great landscapes and activities that cannot be rivalled by anything else in England. There are so many great things to see and do in The Lake District that everyone will enjoy. Here are some must-do's. The water in the Lake District is naturally, one of its best features, blue, clean and pleasant. In summer, the temperature is warm enough to enjoy many water activities. The main activities that many people indulge in is swimming, boating and kayaking. The best time to do water activities is in August, when the weather is dry and the lake is warm. The Lake District has astounding natural beauty that can only be experienced by getting around on foot. The Lake District is unlike any other place in England in the sense that it has the right combination of mountains, lakes, forests and natural wonders. One of the best and easiest ways to enjoy all of these things is to go hiking. While hiking on many of the main trails is important, it is also a good idea to walk off the beaten path. Hike alone into a secluded part of the Lake District and experience a side of England that has long been forgotten. You will remember the quiet moments that you experience, and that is what the Lake District is really all about; getting back to nature and experiencing a side of England that is unique and beautiful at the same time. You will want to make sure that you enjoy as much of the local nature and natural wonders as possible when you visit the Lake District. It will be hard to find this kind of beauty anywhere else in England, maybe even the world. It is the sheer peacefulness and beauty of this place that makes it worthwhile. Experiencing nature in the Lake District will be a truly indescribable experience if you only take the time to sit back, relax and enjoy the splendour of the English countryside. A trip to the Lake District of England is a truly unique experience that will be with you for years to come. Laptop dataport on telephone for internet connection. Mature gardens, childrens play area. Full use of on site Country Club. Local Services: Easy walking distance to centre of Bowness where there is a Cinema and Theatre along with a good choice of cafes, restaurants and pubs. Regualar boat trips from the Steamer Pier 300 meters from Resort. Leave M6 at Junction 36 and follow the signs to Kendal then Windermere. Travel through Windermere following the sign to Bowness and the Steamer Pier, we are 300 meters on the left after the pier. West coast Virgin line to Oxenholme, Lake District. Connection to Windermere Station then taxi (2miles)to Burnside Park. 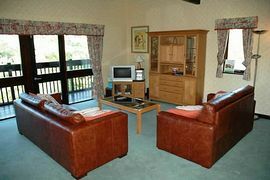 Winter Rates: £580.00 - £675.00 per week (Saturday - Saturday). Christmas: (23rd - 30th December) £925.00. 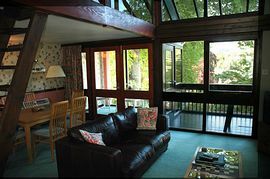 New Year: (30th December - 6th January) £950.00. 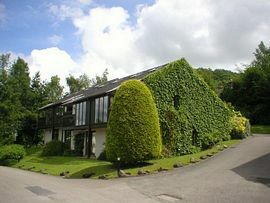 Easter Holidays: £925.00 per week.